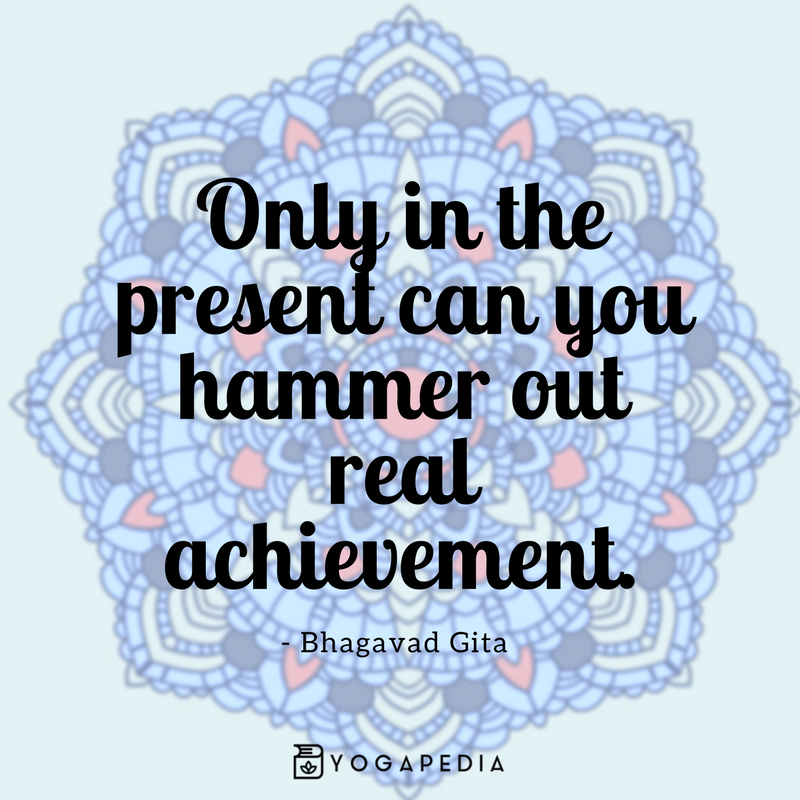 Takeaway: Here are 11 of our currently favorite yoga quotes to help inspire your spiritual and physical asana practice. 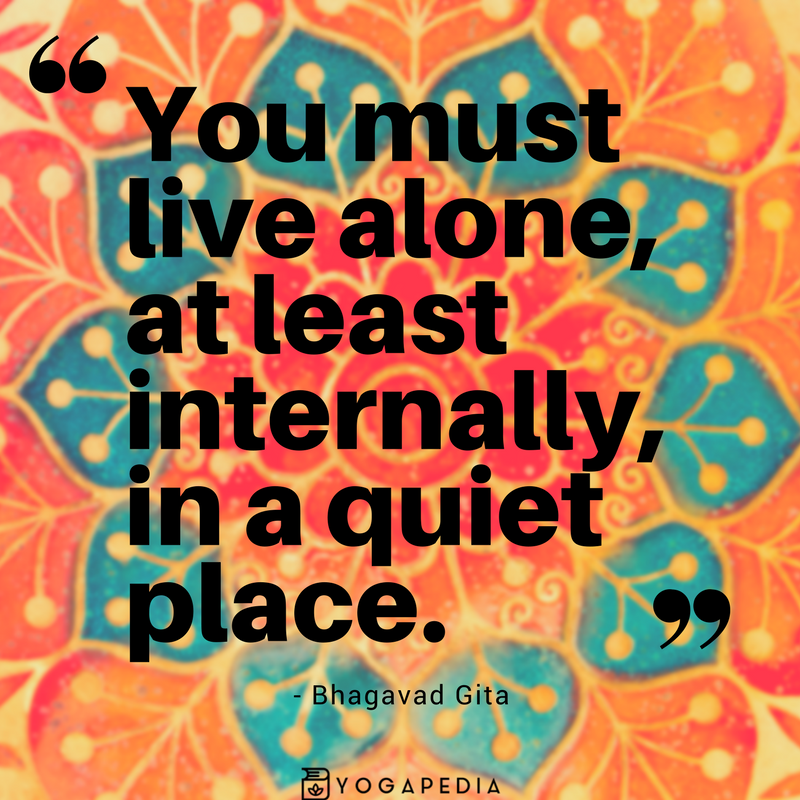 Many of us are familiar with yoga through our physical practice. For those of us who have been practicing for a while, we're attuned to our bodies. 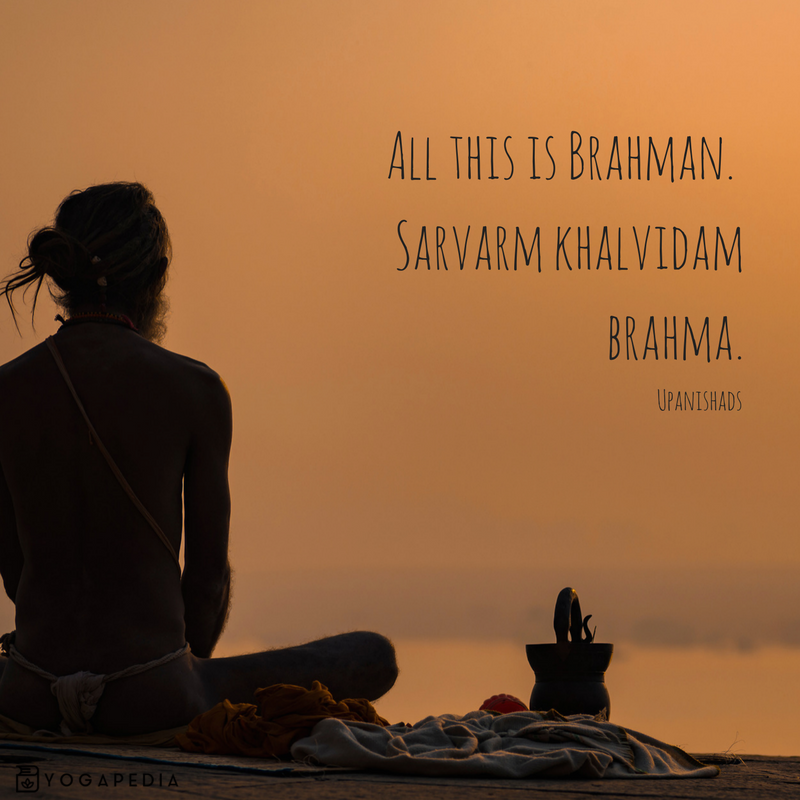 We know how it feels to move through various asanas. We know what challenges us. When I first started my practice over a decade ago, I immediately noticed the positive benefits my body felt after I stepped off of the mat. I was sleeping better, my muscles were more malleable, and I just felt livelier. It was a feeling I began to crave. 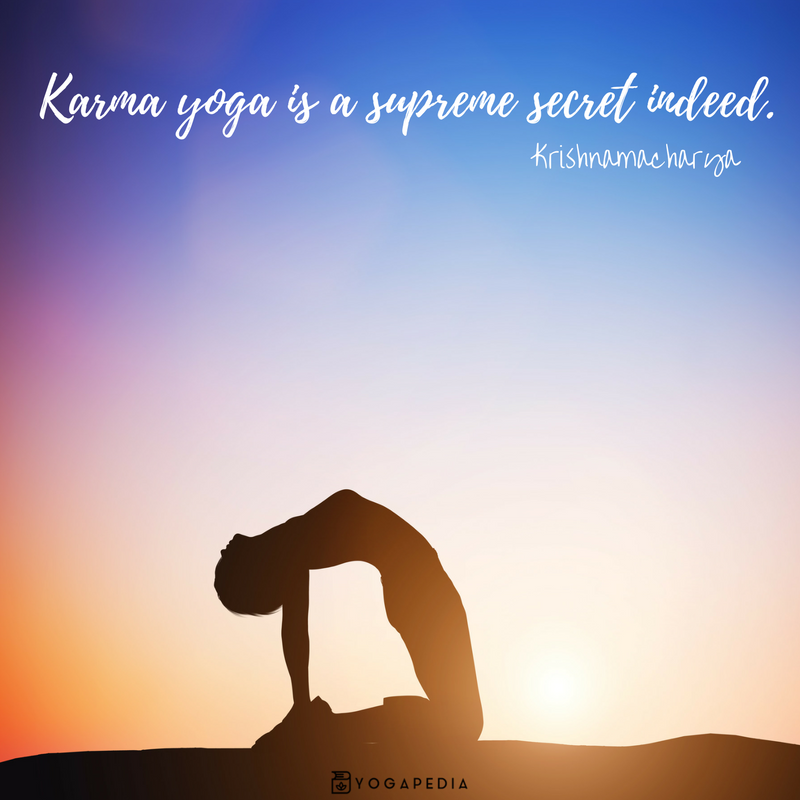 Yoga is very much a physical practice, but it’s also rooted in ancient Sanskrit scriptures from thousands of years ago. 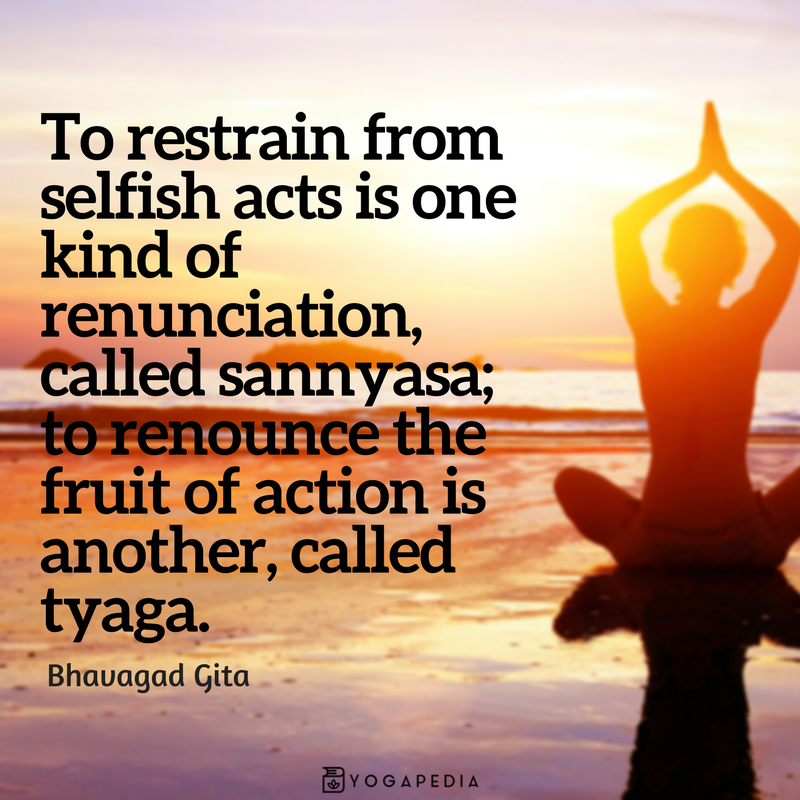 While the postures we practice support the path to enlightenment, the scriptures -- such as The Yoga Sutras or Bhagavad Gita -- can help us to reach that destination through svadhyaya (the practice of self-study and reflection). 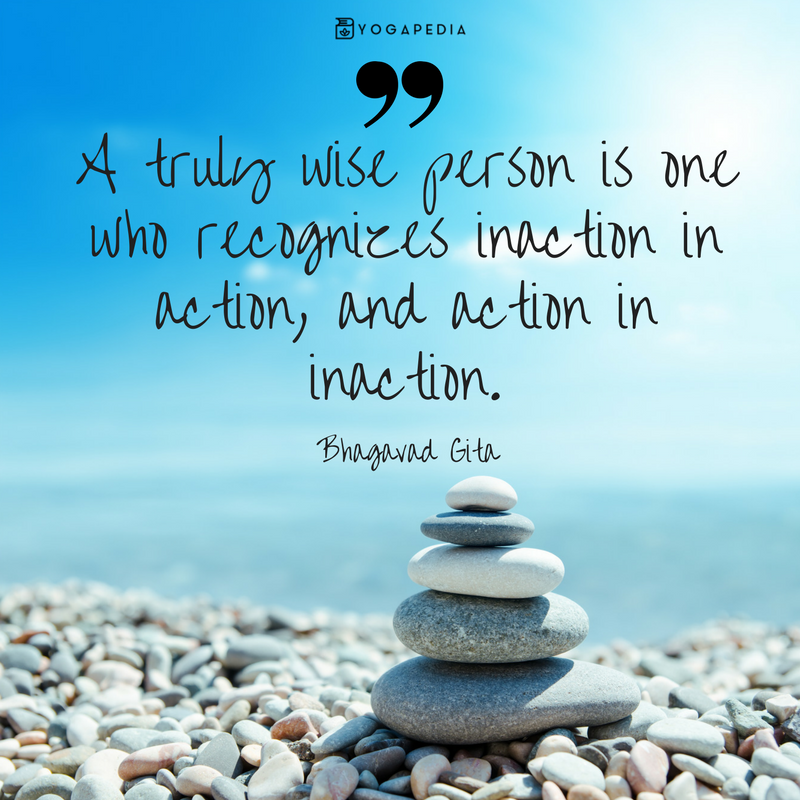 The Bhagavad Gita is one of the most revered yogic texts that helped me look inward, celebrate my consciousness and evolve my practice beyond purely physical. 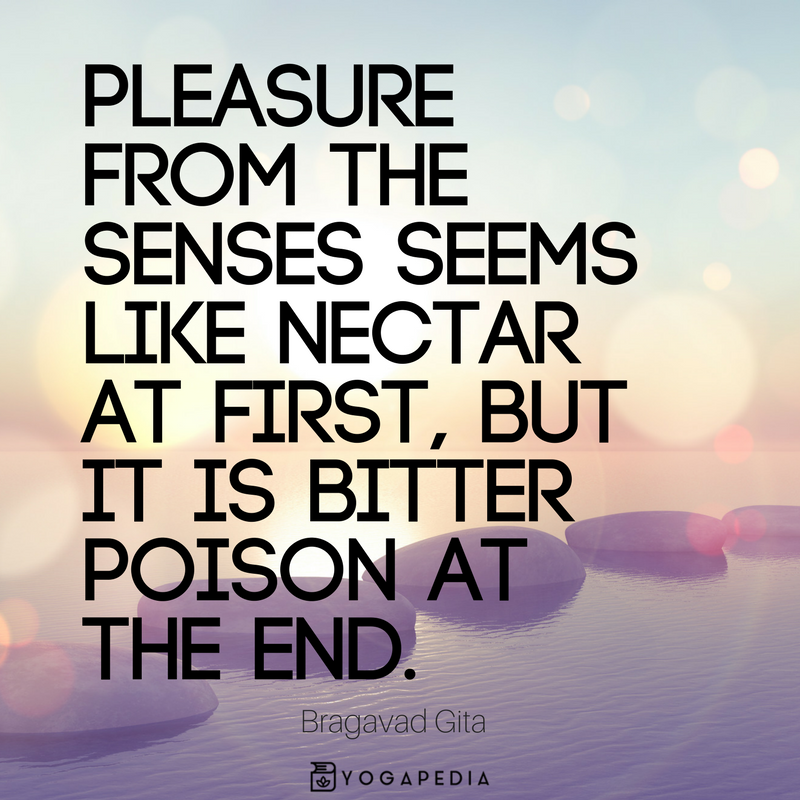 The Bhagavad Gita is a narrative dialogue between Arjuna and his guide, Lord Krishna. 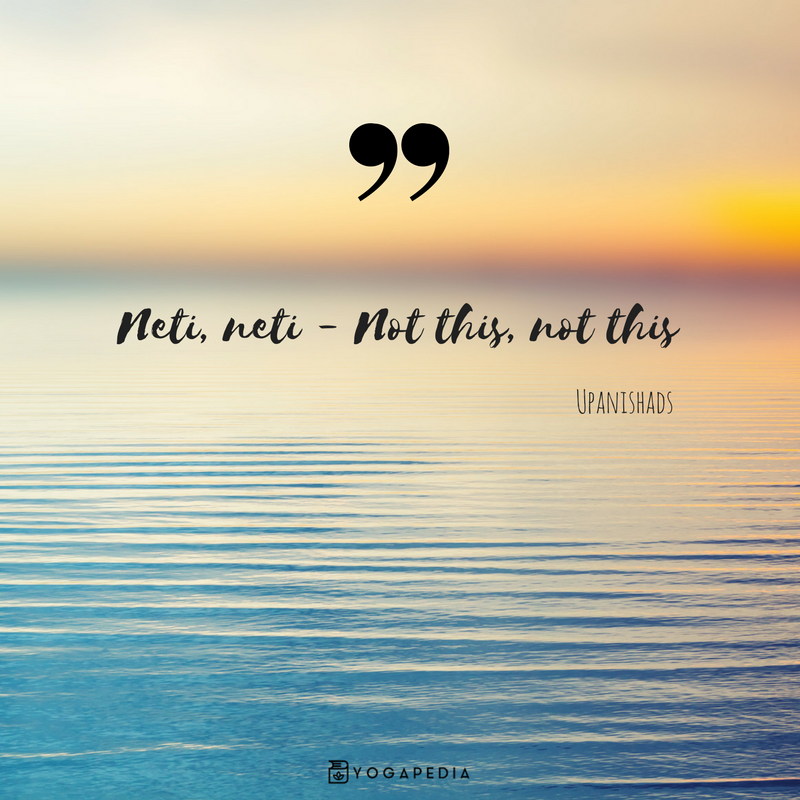 At many points throughout the text, Krishna offers yoga as a means for Arjuna to overcome his inability to seek his own consciousness through pratyhara and dharana. 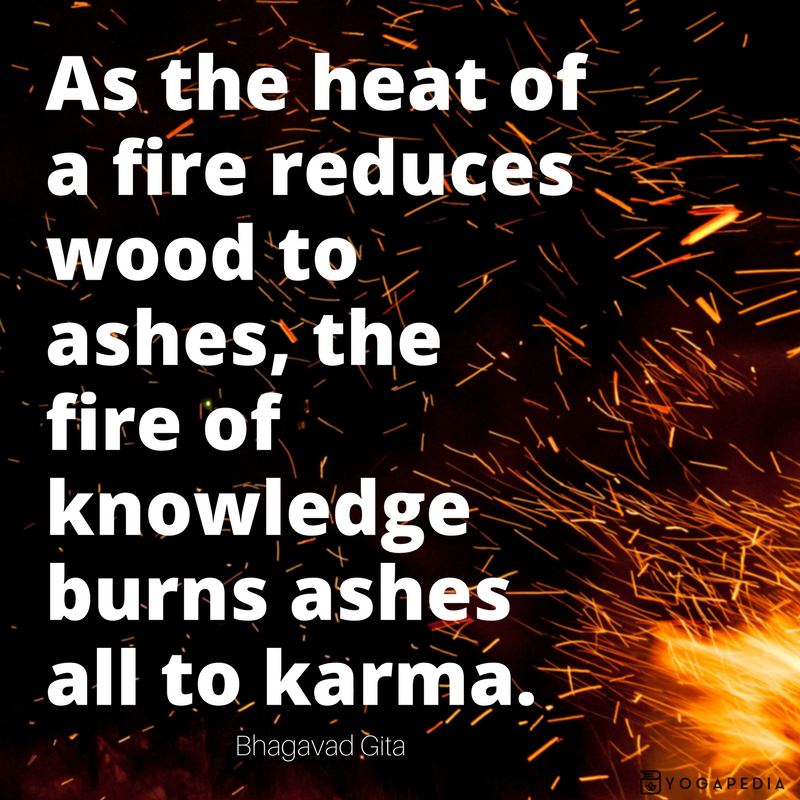 Another main theme in the Gita is dharma, which fundamentally means doing the right thing. 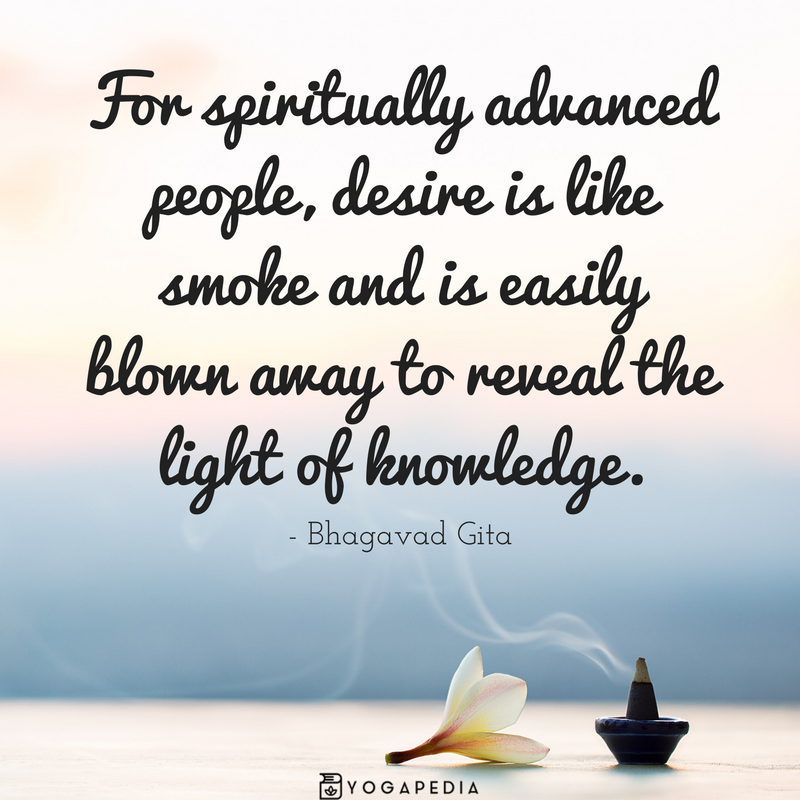 The Bhagavad Gita says, “Yoga is the journey of the self, through the self, to the self.” Along with our physical practice, studying yogic scriptures can really help elevate our practice beyond the physical mat and reach new spiritual levels. It's a commitment we can make to ourselves. 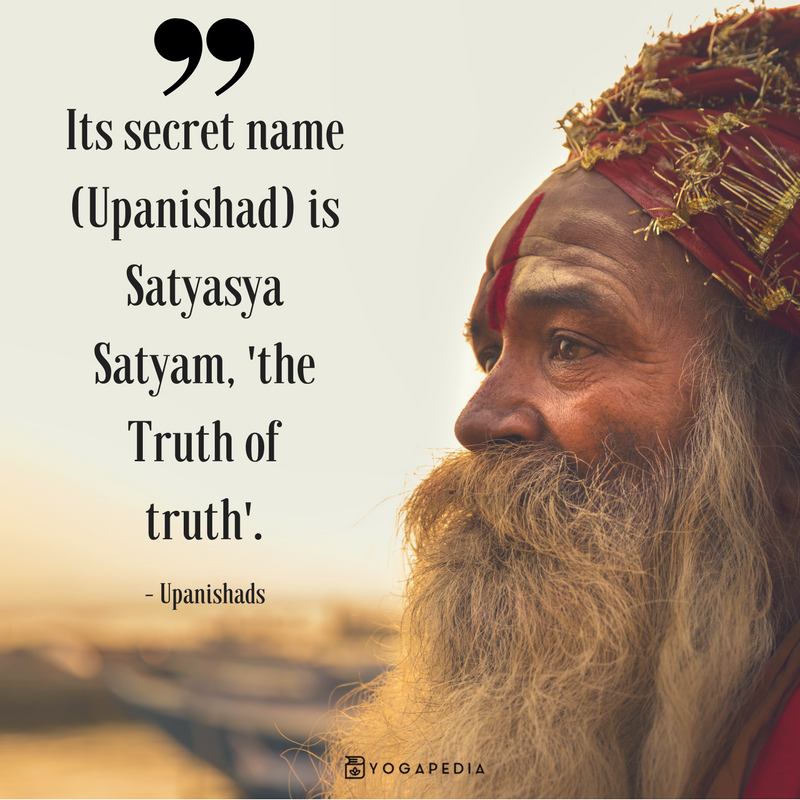 Here are eleven inspiring quotes from yogic texts for you to help deepen your practice.